His level of genius is matched only by his heroics, and in humanity’s darkest hour, he’s the hero they need the most – alas, poor humanity. Peter Cannon – the man known as Thunderbolt – is only too happy to leave civilization to face its end. Kieron Gillen (The Wicked + the Divine) teams up with powerhouse artist Caspar Wijngaard (Doctor Aphra) as he returns to the superhero genre with a dark, humorous and relentless love song to the genre. From opposite ends of time, two heroines unite for an otherworldly adventure! 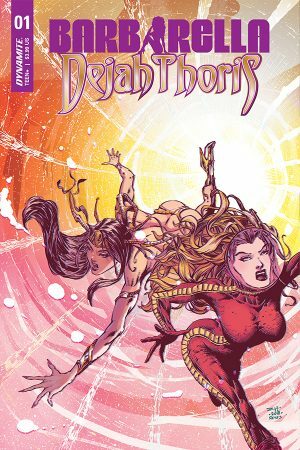 Barbarella, the siren of space, meets Dejah Thoris, Princess of Barsoom, and together they must solve a murder mystery that spans time and space in order to find their way home. Leah Williams (Adventure Time Comics, X-Men: Black) teams with Carlos Gomez (Red Sonja) for a fun, deadly, mind-bending epic! The Mistress of the Dark lands the leading role in a touching art film about human / gill monster romance, but there’s something decidedly fishy about her costar. Is there an Oscar in her future, or is director Billy Bullworth interesting in spawning something more than an Academy Award-winning movie? 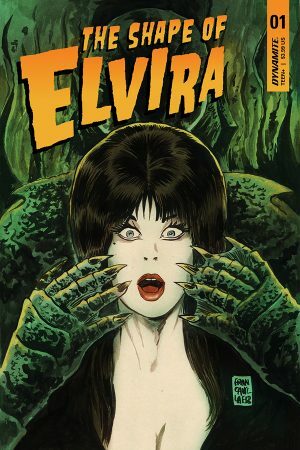 Dive into the first issue of this special four-part miniseries, by David Avallone (Elvira, Bettie Page). A new hero rises! Turok pursues his kidnapped brother… in the Badlands of the Old West! In the waning days of the Indian Wars, the U.S. cavalry has captured Andar, but Turok will stop at nothing to rescue him. But that quest will lead Turok, Andar and even the soldiers to a strange, lost land inhabited by creatures beyond their imaginations. 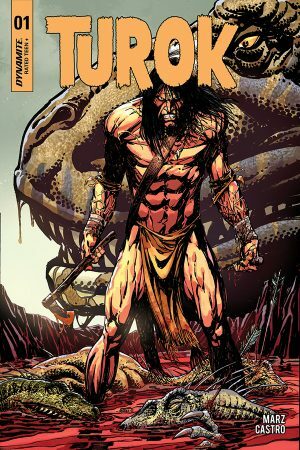 This is Turok as you’ve never seen him before… and Turok as you’ve always seen him! 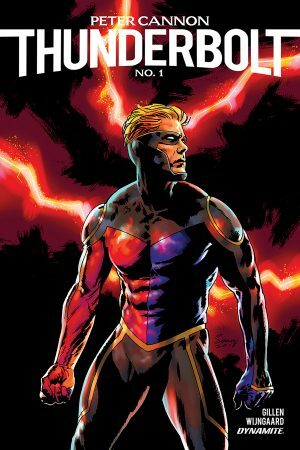 Written by acclaimed storyteller Ron Marz (Green Lantern, Silver Surfer, Witchblade), with exquisite art by Roberto Castro (Red Sojna, Flash Gordon).